Too many hours are being spent at your current job that could be better spent doing something else otherwise you wouldn’t be considering quitting your job. However, is that the only reason? In continuation to investing your time in something else, there are at least nine other extremely worthy reasons to quit your job. 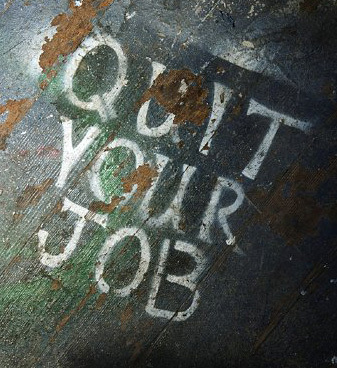 If even one applies to you, it is time to consider getting a new job and quitting your current one. Your raise will become effective when you do. That also means you shouldn’t have to ask for a raise if you are putting in the effort required for the paycheck you want. It is not about knowing you aren’t getting paid enough, it’s about feeling that you aren’t getting paid enough and if that’s the case, it’s time to say goodbye to your job. Are you working more than you are getting paid? It’s possible that the hourly wage you are receiving is adequate for the amount of work you are doing, but not getting paid when you are doing it longer than what is required is a problem. No one should work overtime at a job and not receive compensation for it. After all, if you are going to put that effort in, aim it toward something that will earn you an income instead. In school you have Advanced Placement (AP) classes. If you exceed at the basics, you get put in a class that offers a greater challenge and a greater reward. Unfortunately, few jobs offer AP classes or any possibility of you making career advancement. If there is no chance of you becoming the CEO or at least standing near them at an event, strongly consider quitting. The need for job advancement is vital in any career and is a sole indicator whether you should quit or not. In fact, it is the workplace’s disadvantage for not enabling employees to advance since it opens up greater levels of success and creates a multitude of key qualities and attitudes. If you have those qualities and attitudes, apply them to a different job. Although you may love the pay check, if you hate the job, quit. Ask yourself, how hard is it to get out of bed and go to work each day? Do you check the time every 10 minutes? If you don’t like your job, it’s time to find one you can enjoy. The advantage to understanding why you don’t like your job is so that you understand what you do like and can look forward to it at your next job. Even if you don’t know exactly why you don’t like your job, it’s no reason to stay there. The penalty for misconduct in Football is typically 15 yards, but the penalty for misconduct in a job should be a letter of resignation. Whether you are getting mistreated by the boss or co-workers there is no reason you should stay in that environment. This is also typically simultaneous with the lack of appreciation, encouragement or respect in the workplace. In addition, it is best not to support co-workers, your boss or the company you work for if positive ethics are not being met. An immediate reason to quit your job is if the first two hours of the workday are dedicated to paying for you transportation to work or parking while you work. There should be nothing that is taking away from your paycheck until after you receive it. Working from home may not be an option for you, but driving two hours to work each day or paying ridiculous amounts of money for parking shouldn’t be either. If you notice that the company you are working for taking a downward spiral, remember that there is no light at the end of the drain. If you feel that the company is plunging, leave before it hits and you are smashed with it. Either way you look at it, you will either have to deal without having a job now until you get a new one or deal without having a job later. Many will say to quit your job if there has been a life changing event. If it was serious enough, you would have already quit your job. This definition of life changing event means a change in the direction you want to take in life. Think about your goals and what you want and then ask yourself, will staying at your current job get you them? Maybe you want to begin going to school or no longer need to work, whatever the reason your life has drastically changed, let your job change from occupied to not. When you quit having fun you should also quit your job. No one should stay at a job that has become boring and monotonous. Another reason for the fun being obliterated from your work is that you have reached your learning limit; there are no tasks that offer a challenge and force you to learn something new. If that is the case, seek greater challenges, which often will produce greater rewards. While it is more than likely that every reason above does not apply to your situation (and it better not), even if one of them applies, it’s time to seriously consider quitting as soon as possible. While there are countless fears to quitting, job security is no reason to stay at your job if you are having any of the problems above. You may think that you can handle getting paid to deal with it, but why should you when you can get paid the same amount somewhere else with none of the side-effects? Use the energy you are putting to sustain the torture of your current job, to find something better or create one yourself. Regardless of the reasons you have for leaving, it’s guaranteed you can find something better. You deserve more and if you apply the right attitude and skills, you will also earn more. I like the love/hate relationship advice about work. If you’re dragging yourself out of bed every morning to go to work you should really consider quitting. Salary shouldn’t be the only reason to go to work everyday. Although it’s easier said than done in this economy, there are ways to get by even if you don’t get paid as much. I’m glad I found this post. I recently finished a book about pursuing your dreams and this blog goes into greater detail the reasons to leave a job. Bottom line: if you don’t really like the job, go find something you’re passionate about and figure out how to make money doing it.